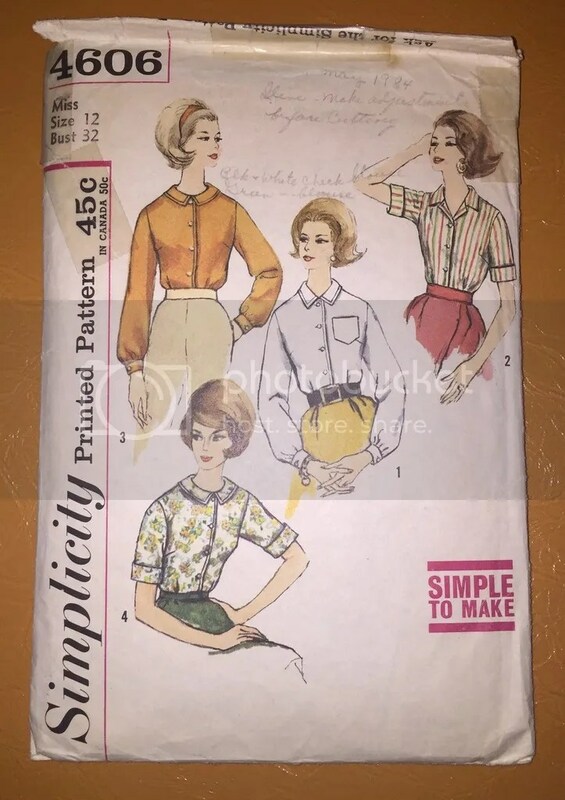 Last year my internet friend Alessandra of Gothwave on Etsy offered to mail me a box of vintage sewing patterns and, duh, I accepted. Plenty of great 60s ones and even a few from the 40s. That’s where this pattern came from. The collar immediately sucked me in. 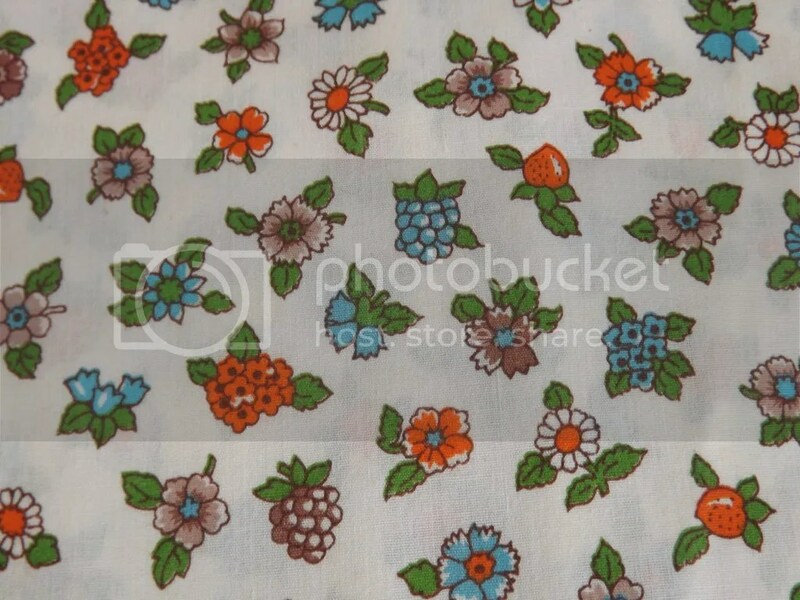 I knew right away what fabric I wanted to use, a vintage floral & berry print I picked up from Happy Corner General Store on Etsy. I finally had the chance to try it out over Christmas break with my new machine. I measured the pattern pieces and was fairly certain it would fit with maybe a bit of an armhole shift so I just dove right in. No muslin. (Usually that’s the worst idea any one could ever have, ever. Just FYI.) I didn’t end up having to make any alterations. (!!!) And I just happened to have the perfect buttons in my stash. The only real issue I encountered was that my new machine’s buttonhole foot tends to make the holes a bit too big and lots of movement causes them to unfasten. Oops. I didn’t realize this until after I’d already made them all, of course. I guess I will just be making lots of use of double-sided tape. 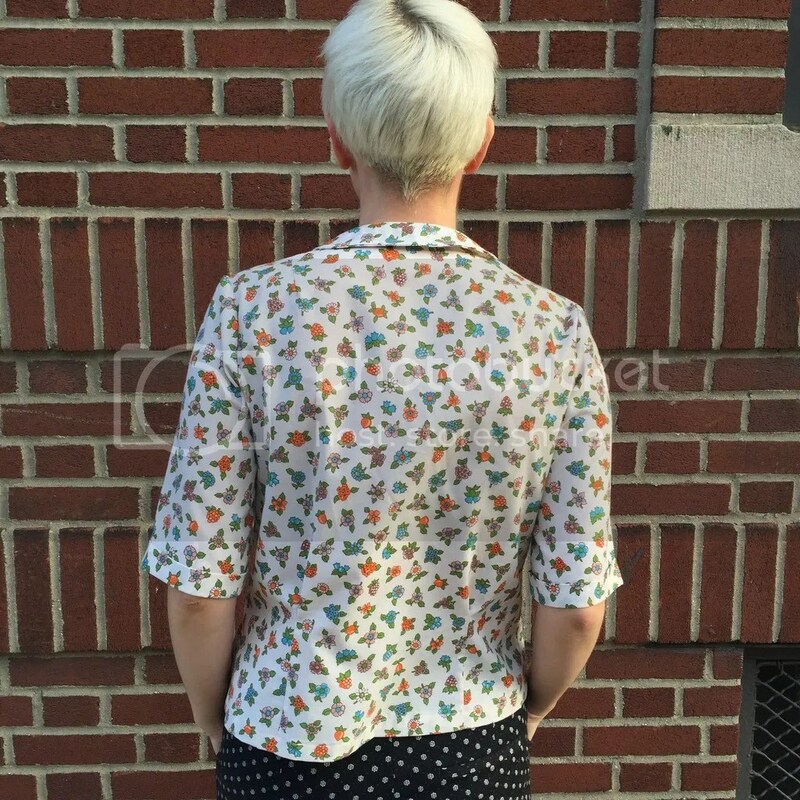 I’d love to try this out in something with lots of drape and make the long sleeve version in the future. 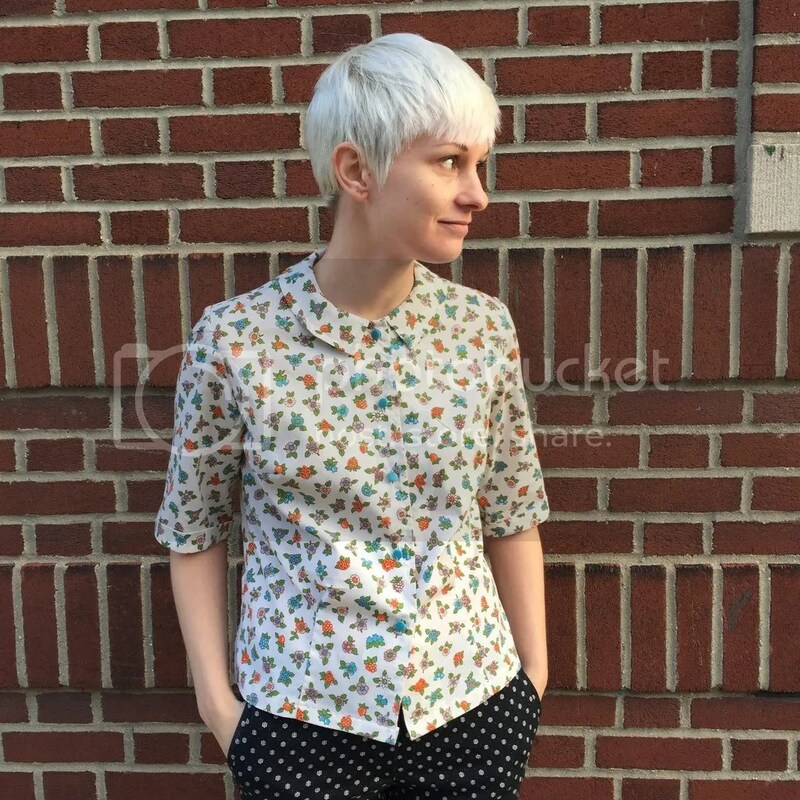 Definitely a new go-to blouse. 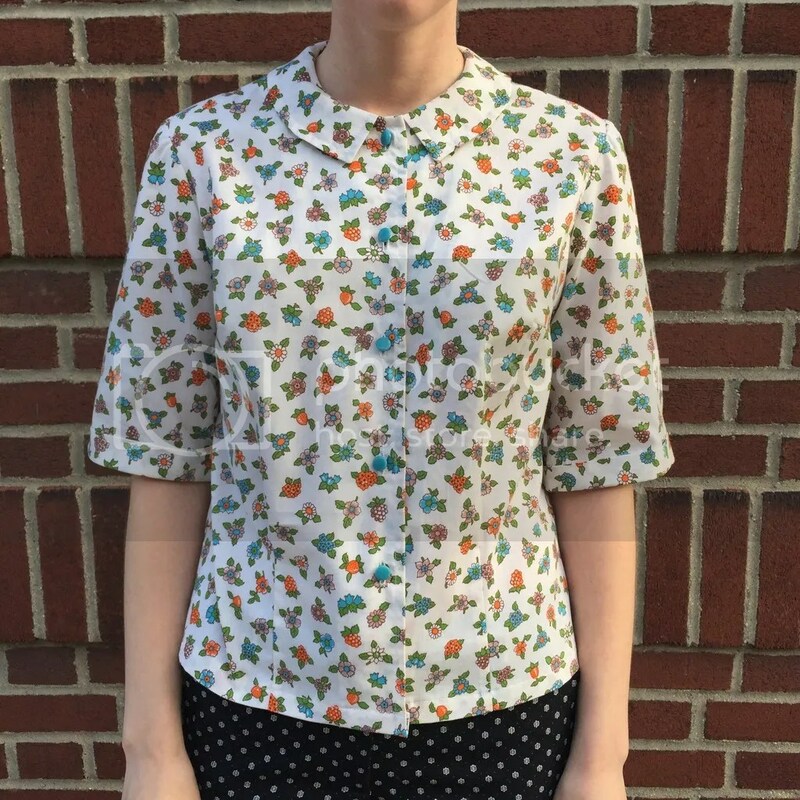 This entry was posted in sewing and tagged 1960s, blouse. Bookmark the permalink.